Researchers from the Medical Research Council (MRC) Lifecourse Epidemiology Unit, University of Southampton, recruited over 1,000 pregnant women across Southampton, Oxford and Sheffield to the MAVIDOS study, a randomised, double-blind, placebo-controlled trial of vitamin D supplements in pregnancy. Women were randomised to take either 1000 units (25 microgrammes) of vitamin D every day or a matched placebo capsule from 14 week’s gestation until delivery of the baby. 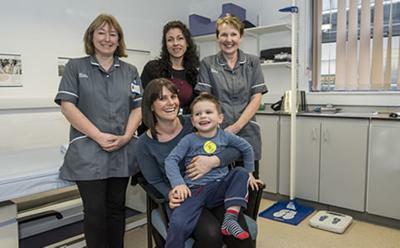 The study was funded by the charity Arthritis Research UK, with further funding support from the MRC, National Institute for Health Research and the Bupa Foundation and has been published in the Lancet Diabetes and Endocrinology. Results showed that this dose of vitamin D was highly effective at increasing vitamin D levels in the mother. More than 80 per cent of women who had received the supplement had satisfactory levels of vitamin D when measured in late pregnancy (the point at which most calcium bone mineral is transferred from mother to baby) compared with around 35 per cent in the placebo group. Analysis of all the babies born in the study showed there was no difference in bone mass between the babies born to mothers who took the supplement compared to those who took the placebo. However further analysis, looking at when the baby was born, showed that the babies born during the winter months to mothers who had taken the vitamin D supplement had a greater bone mass than winter babies born to mothers who received the placebo (mean bone mass 63.0g in vitamin D group vs 57·5g in the control). 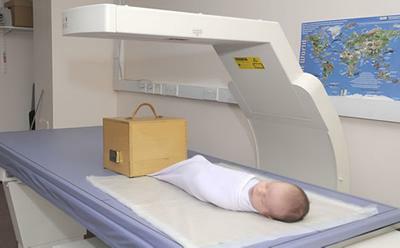 The research team believe that because better bone mass at birth is likely to lead to stronger bones in older age, this improvement could result in reduced risk of broken bones, not just as a child, but as an older adult.